Spring is upon us! 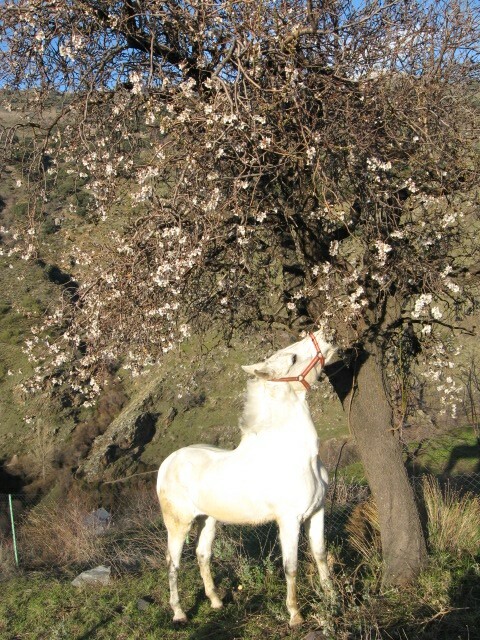 In Sierra Nevada we are in almond trees blossom season and reaching the really spectacular cherry trees blossom season. 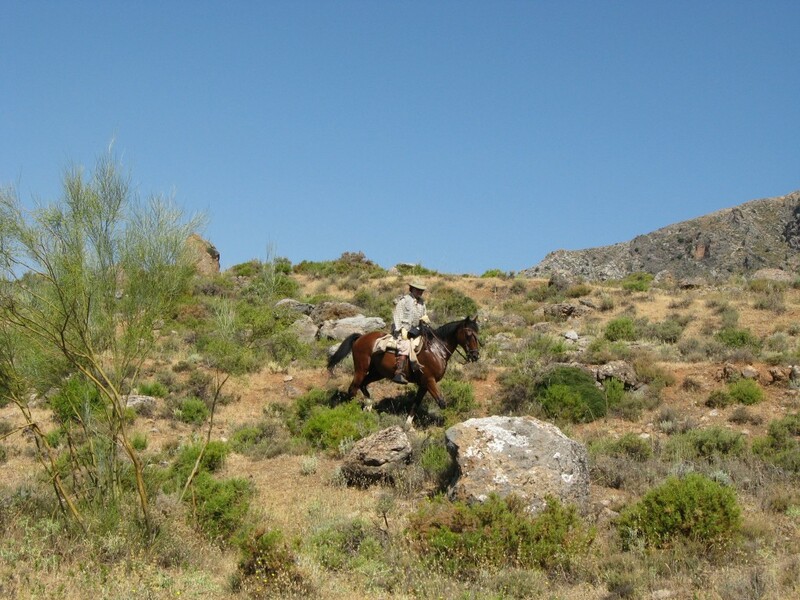 Do you want to do some horse riding in Sierra Nevada? Now it is the time to get ready. 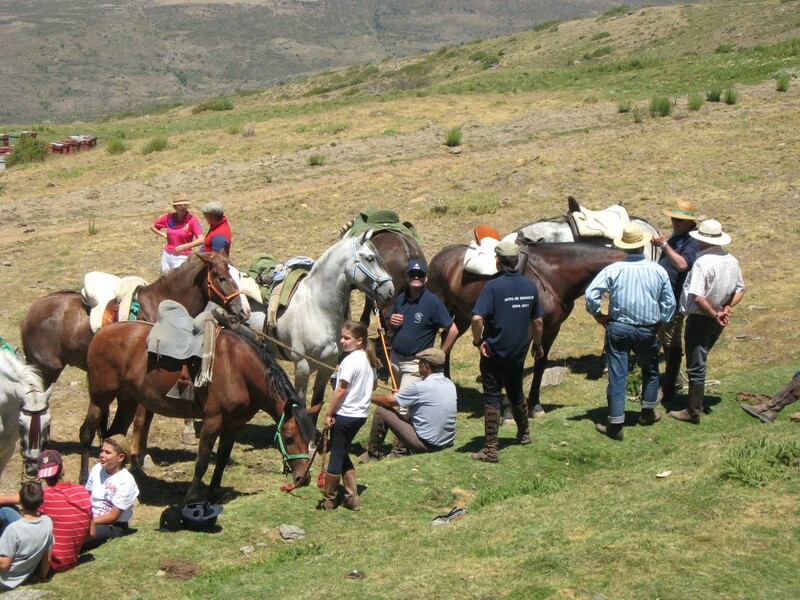 Figo and Tachenko ready for long distance route. 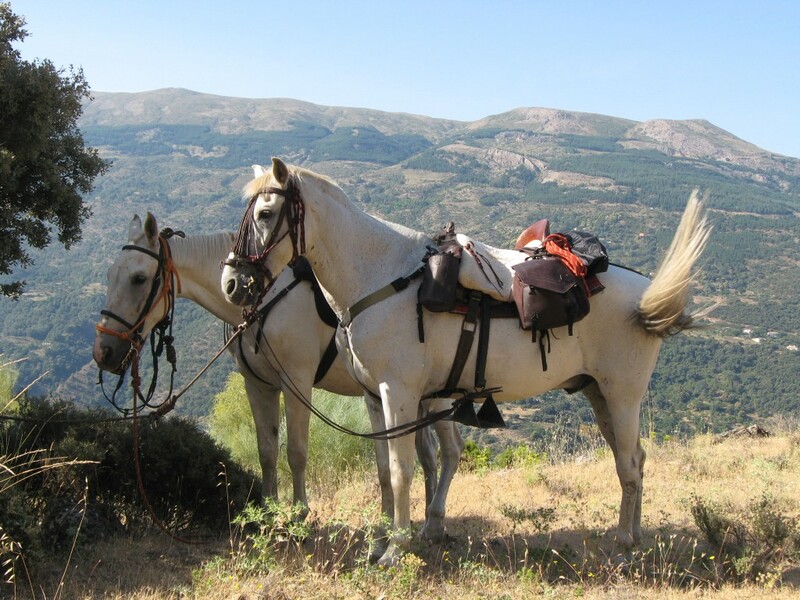 Figo is tacked with traditional Spanish Vaquera Saddle. 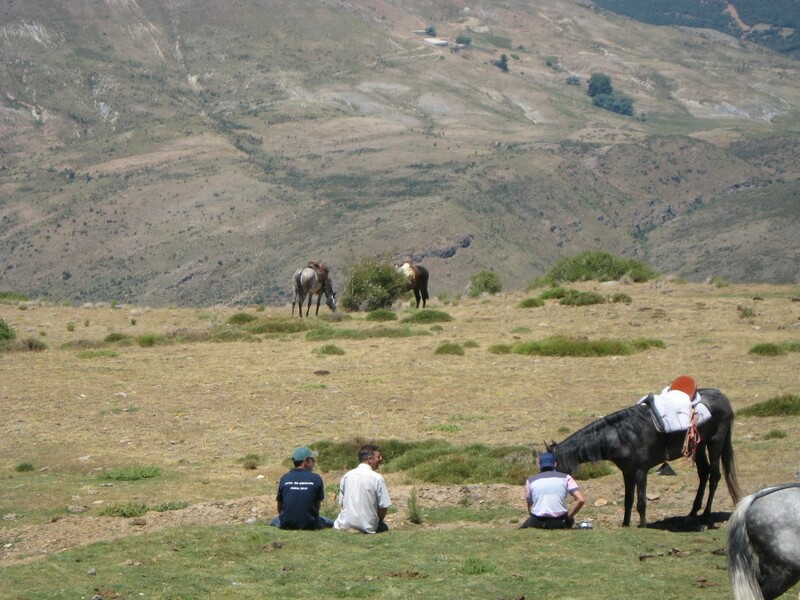 Perpetual sunshine, long distances to cover, routes of all kinds (from easy forest tracks to really demanding bridle paths) and the best views you can imagine. 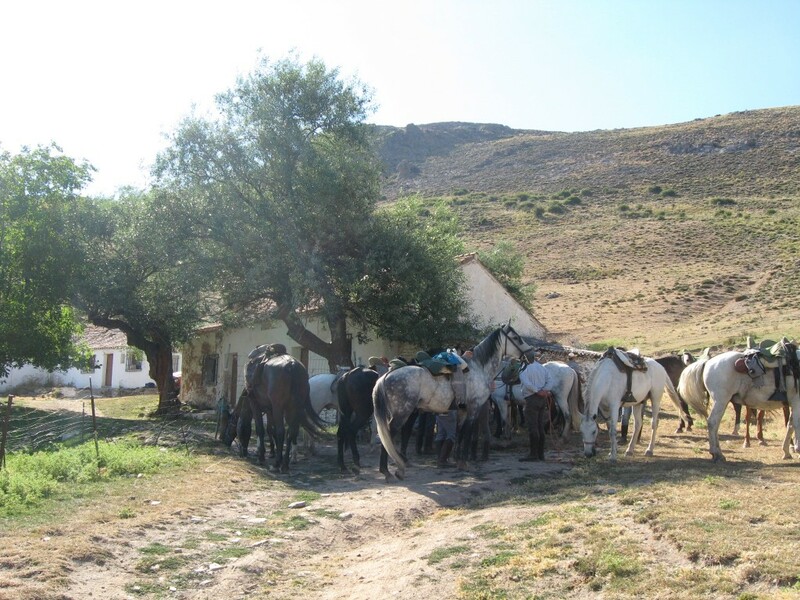 If we want, we will stop in some real Cortijos, the old Spanish ranchs to drink “mosto” and eat “choto”. Do you still need to think about it?